If you enjoy onsen hot springs, unique Japanese cuisines and snow, you should check out the Northward Golden Route – a train route that connects Saitama, Gunma and Niigata prefectures. Getting to these 3 prefectures is easy with the JR EAST PASS (Nagano, Niigata area). The JR EAST PASS (Nagano, Niigata area) is a flexible train pass that is valid for up to 14 days as long as you take the trains only on any 5 days during the period (so you can take your time to explore these areas) and allows unlimited train rides including Shinkansen (bullet trains) between Tokyo and Joetsu and Shinetsu area. Over the next few days, I will share with you our journey along the Northward Golden Route and what you can see and eat in these 3 prefectures and also recommend some of the best ryokans you should check out while on this route. Before flying off to Japan, I recommend buying your JR EAST PASS (Nagano, Niigata area) at the East Japan Rail website or the Japan Rail Cafe in Singapore for ¥17,000 (about S$210+). You can also buy it at Narita or Haneda Airport, as well as Tokyo, Shinagawa, Shinjuku, Nagano, Niigata and many other JR East stations for ¥18,000. I strongly recommend the former – you can save 1000 Yen (S$12+) for shopping in Japan. One more thing to note is to make sure you get the Red color version of the JR EAST PASS (Nagano, Niigata area) – there is another JR EAST PASS for the Tohoku area that is Green color. 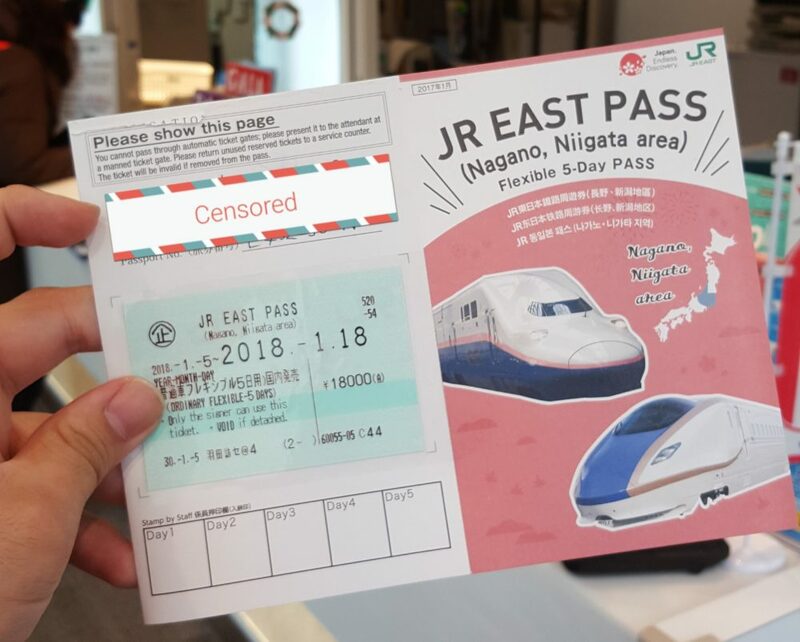 You will need to collect your JR EAST PASS on arrival at the airport – go to the JR EAST Travel Service Center upon arrival. 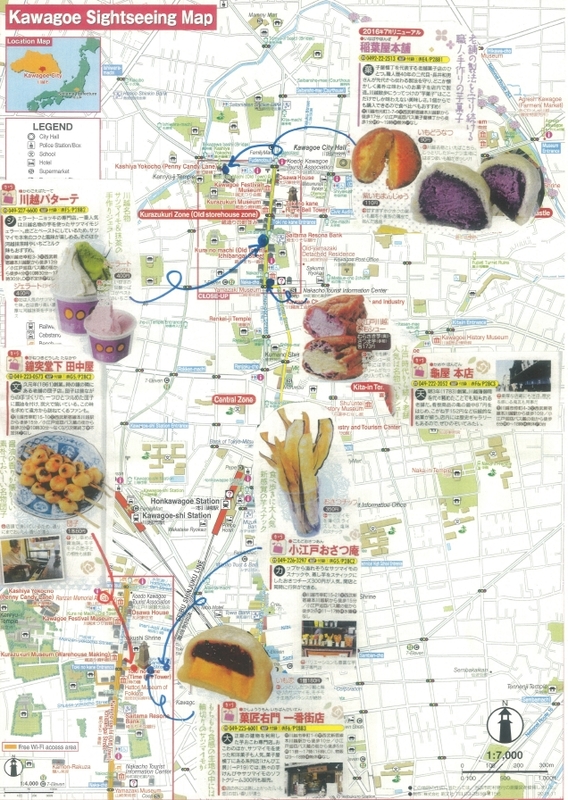 You can’t miss the Center – it is just beside the Tokyo monorail station which you will need to take to Tokyo city. The staff at the JR EAST Travel Service Center speaks English and are very friendly so you can ask them any information about the Northward Golden Route. 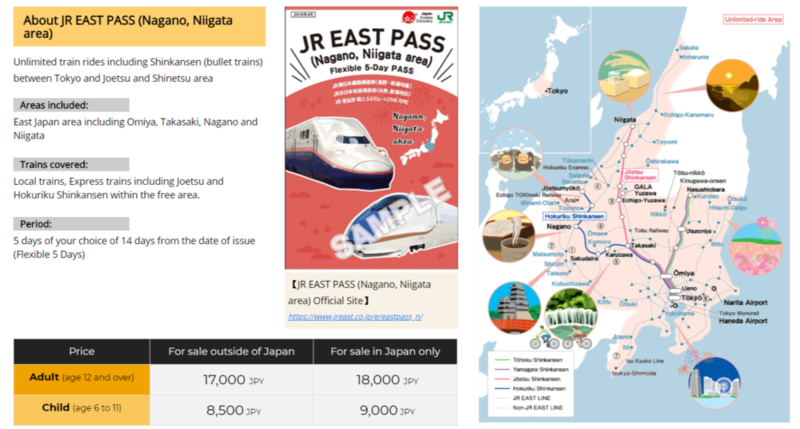 What makes this experience at the JR EAST Travel Service even more interesting is the tourist-friendly and interactive maps of the sights you can expect to see while travelling along the Northward Golden Route. 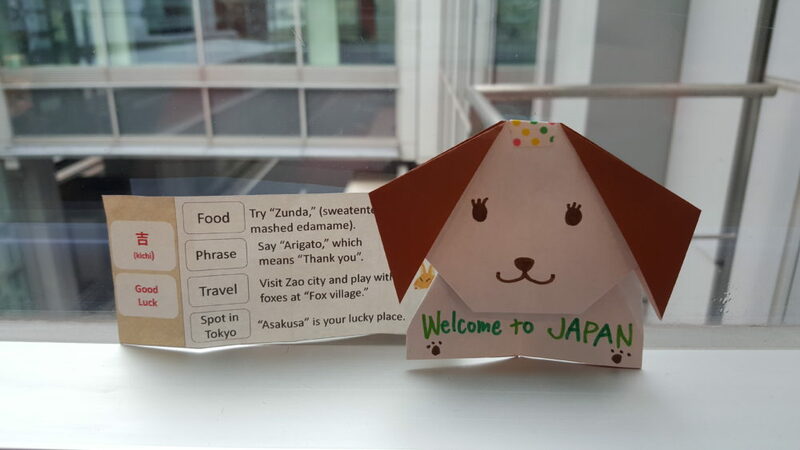 There is even a “lucky draw” where you can draw the “omikuji” – a slip of paper with luck and advice written on it and props for you to take photo with. You can use your JR EAST PASS immediately after purchase for your trip to Tokyo city via the Tokyo monorail. You will need to alight at Hamamatsucho station (15 minutes ride from Haneda airport) to change on the JR train to get to Tokyo station (4 minutes ride). From Tokyo station, you will need to board the Yamabiko 139 JR train to Omiya station (our first stop at the Saitama prefecture). Omiya station is just a short 26 minutes ride from Tokyo station. 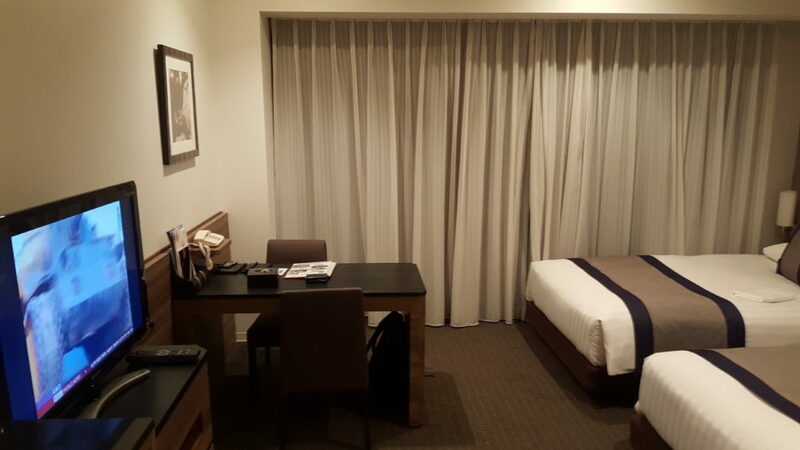 If you had arrived at Haneda airport via a red-eye overnight flight, you will definitely be quite tired after the flight but don’t worry, with our suggested itinerary, you will arrive at your hotel in Omiya in about 1 hour 45 minutes from Haneda airport. We stayed at the Palace Hotel Omiya which is just a short 3-5 minutes walk from Omiya station. It is connected to the Omiya station by a few linkbridges so there is no need to lug your luggage up and down stairs. I was surprised by how big the rooms of Palace Hotel Omiya are, especially when compared to Japanese standards. If you are planning a getaway to Omiya with your family, you should check out Palace Hotel Omiya. The breakfast buffet was also very good – large selection of Western e.g. poached egg, bacon, omelette and Japanese options e.g. grilled mackerel and steamed vegetables. 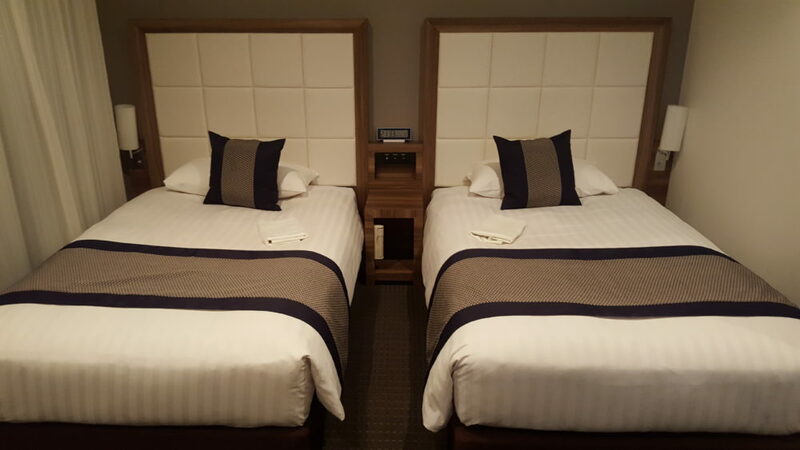 The location of Palace Hotel Omiya (1 Chome-7-5 Sakuragicho, Omiya Ward, Saitama, Saitama Prefecture 330-085) is also very good – there are lots of convenience stores (combinis) around the hotel so if you are hungry in the middle of the night, just go to a combini 1-2 minutes away to grab some snacks. The major shopping areas e.g. Daiso, Takashimaya and restaurants are located on the other side of the Omiya station – just 10 minutes walk from Palace Hotel Omiya. 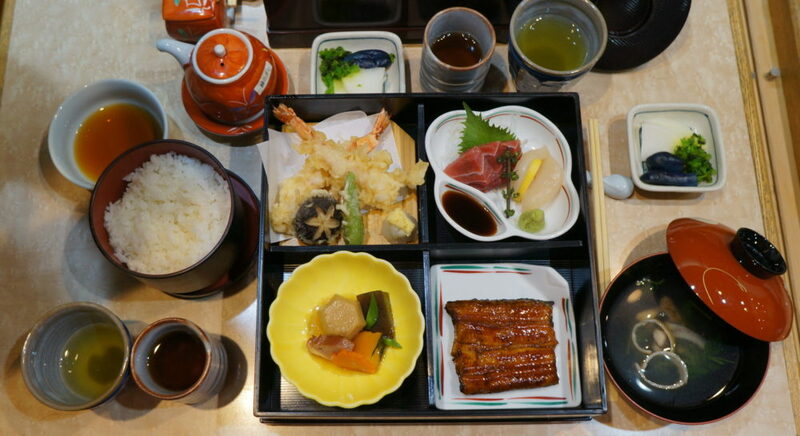 For the best experience, ask for the grilled unagi set menu which includes lightly battered fried tempura and fresh scallop sashimi (about 3500 Yen – about S$40 – while expensive, you won’t be able to find such quality at such a price in Singapore). The unagi is grilled in such a way that the skin is crispy while the meat stays tender. After lunch, we headed to the Railway Museum via the Saitama New Urban Transit New Shuttle (the JR pass cannot be used here – you will need to buy a separate ticket – 190 Yen) from Omiya station. The journey to the Railway Museum station took 2 minutes. 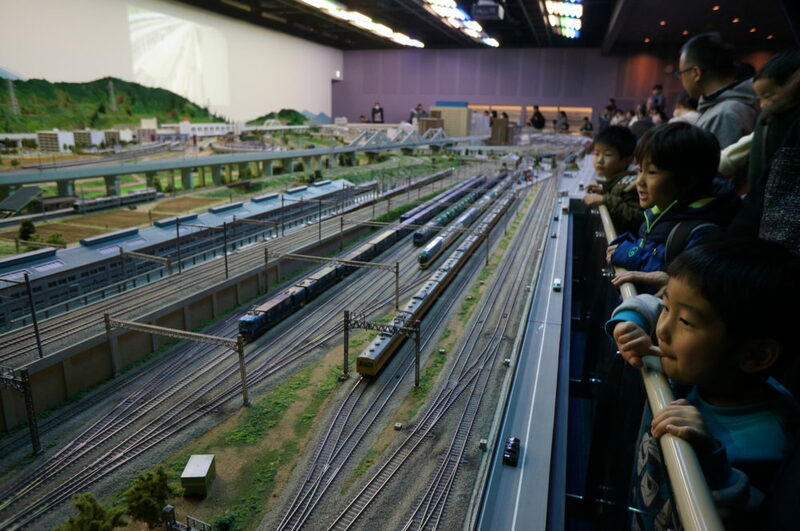 The Railway Museum is a must-visit when you are in Omiya and especially if you have kids travelling with you. There are lots of interactive displays and you can even get to drive a small train. 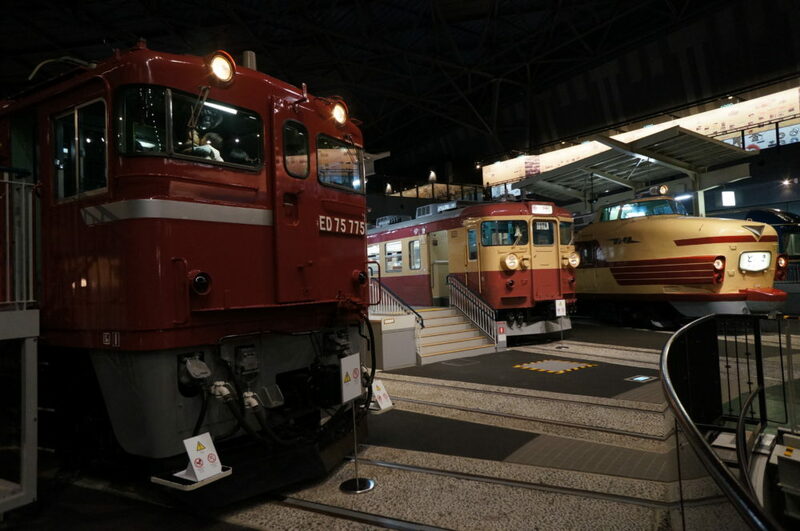 If you are visiting the Railway Museum (admission fee of 1000 yen for adults and 500 Yen for students; 3-47 Onaricho, Omiya-ku, Saitama 330-0852, Saitama Prefecture), you should do some planning if you want to make the most of your time at the museum and “play” with its interesting train simulators and driving of a miniature train. To drive a miniature train (see our video below), you should come early – tickets are sold on a first come first served basis. 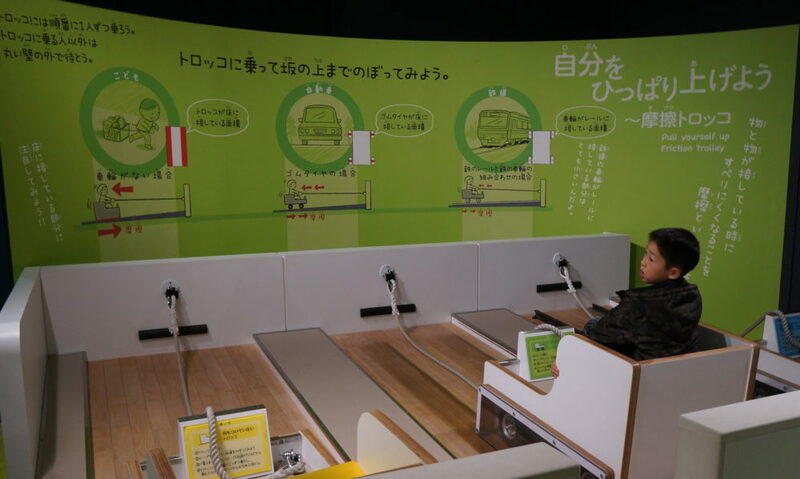 For 200 Yen per ticket, 3 person can ride together in the train (using just one ticket). To drive a D51 train simulator, tickets are sold at the rolling stock station for 500 Yen (also first come first served). There are other free train simulators around the museum but be prepared for a long queue. … and even a miniature train diorama show that shows the operations of trains during the day and night (narration in Japanese only but just viewing the show is already quite impressive). Lastly don’t miss the impressive train display – where you get to walk among actual trains and locomotive engines that were in operation many years ago. For some of the trains, you can even walk inside to see what the trains look like when they were in operation. After a long day at Saitama, we headed over to the Bath Cafe Utatane – a short 5-minute drive away (we took a taxi) for onsen and dinner – a perfect way to end off a long day! The Ofuro Cafe Utatane (4 Chome-179-3 Onaricho, Kita, Saitama, Saitama Prefecture 331-0815) has an interesting one-time payment concept i.e. for ¥1260, you will receive a set of lounge wear, face and bath towels and access to the onsen hot spring. 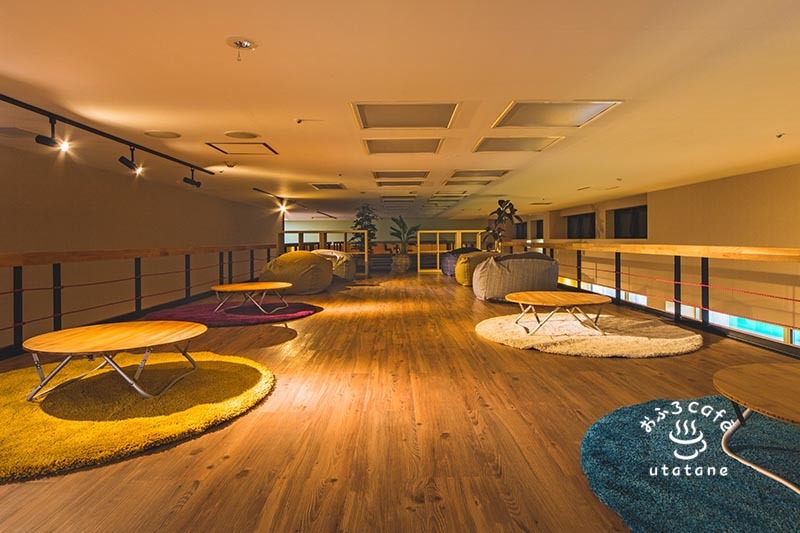 If you want, you can stay for the entire day at the cafe and if you want a more comfortable overnight rest, you can book a room on the upper floors of the cafe (prices start at ¥4,500 per person). You may be wondering what can you do all day at the Ofuro Cafe Utatane – there are lots to do here. There are lots of lounges and massage chairs that you can “nuan” the whole day in. Most of the patrons of the cafe are young couples or group of friends and they pretty much just chill and relax wherever they can. There are also Japanese comic books covering many different types of genres. Of course, the highlight of this Cafe is the onsen hot spring. 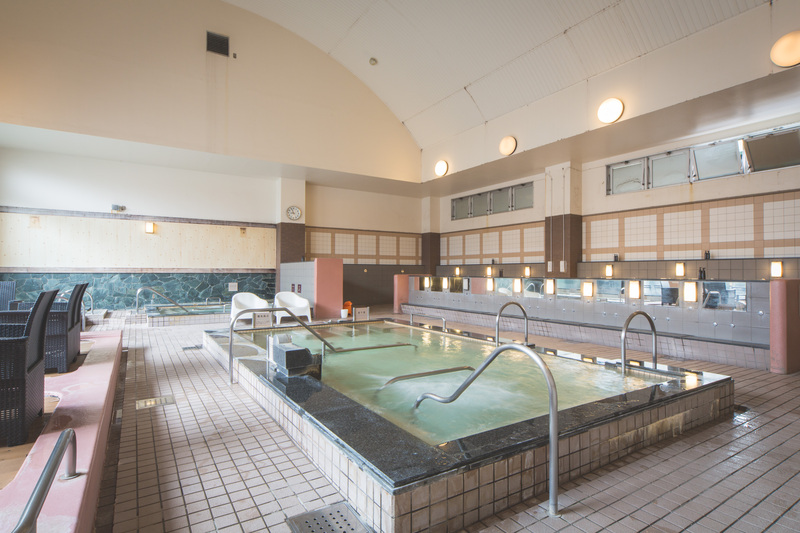 There are so many different types of baths – indoor and outdoor and jacuzzi-style onsens for you to experience. 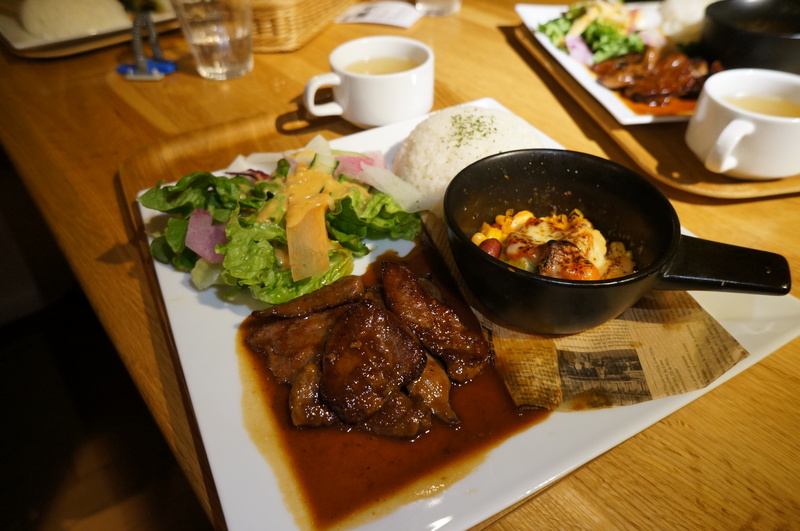 For dinner, we tried the grilled beef served with a side of salad and corn (1530 Yen) – quite a tasty and healthy meal to round off a long day at Saitama. For our second day at Saitama, we set out to experience a very different part of Saitama -> Kawagoe (the part of Saitama where the traditional old town architecture is preserved). First, we have to get our Day 2 stamp on our JR EAST PASS before taking the 22 minute ride from Omiya station to Kawagoe station. The Kawagoe old town is quite a distance from the Kawagoe station. There is a CO-EDO Loop bus that brings tourists from Kawagoe Station west exit (Bus stop No. 2) or from Hon-Kawagoe station. You can buy either a one-way bus ticket for 200 Yen or an one-day pass for 500 Yen from the driver or from the NEWDAYS convenience store at west exit of Kawagoe station. Kawagoe (川越) is also known as “Little Edo” (小江戸 Koedo) after the old name for Tokyo as many of its old buildings and architecture were preserved and walking through the town is sort of walking through Tokyo during the Edo Period (1603-1867), of course without all the cars and tourists. 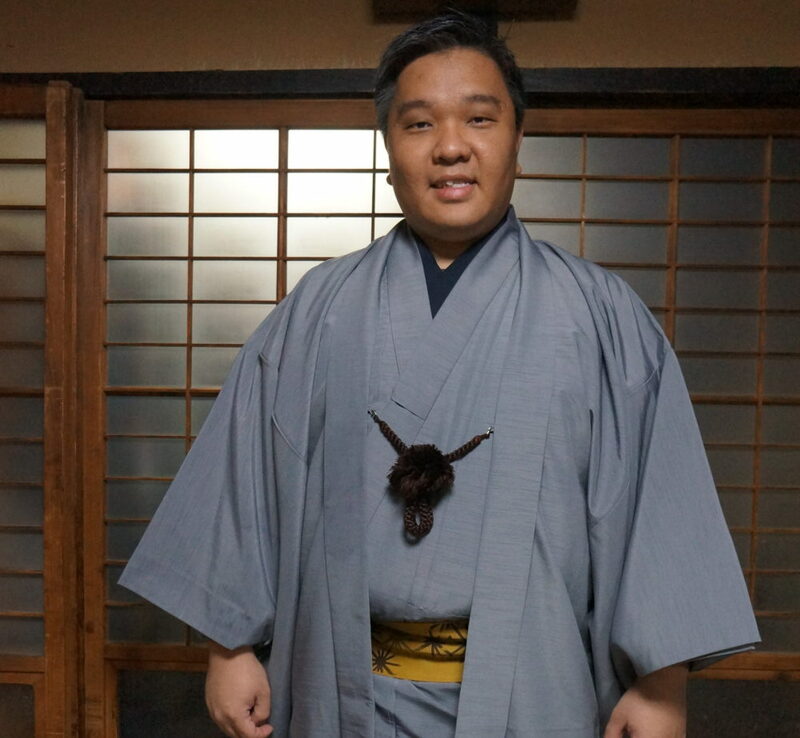 There is no better way to experience the Kawagoe old town than in a traditional Japanese costume – the kimono. Thus, our first stop in Kawagoe was to Kimono Rental Shop Sarah (埼玉県川越市連雀町8-4) where we were fitted with kimono. For ladies, budget about 2000 Yen; for males and children, budget about 3500 Yen. This price is just for kimono rental. If you want other accessories or do up a hairstyle/makeup, there are additional costs. 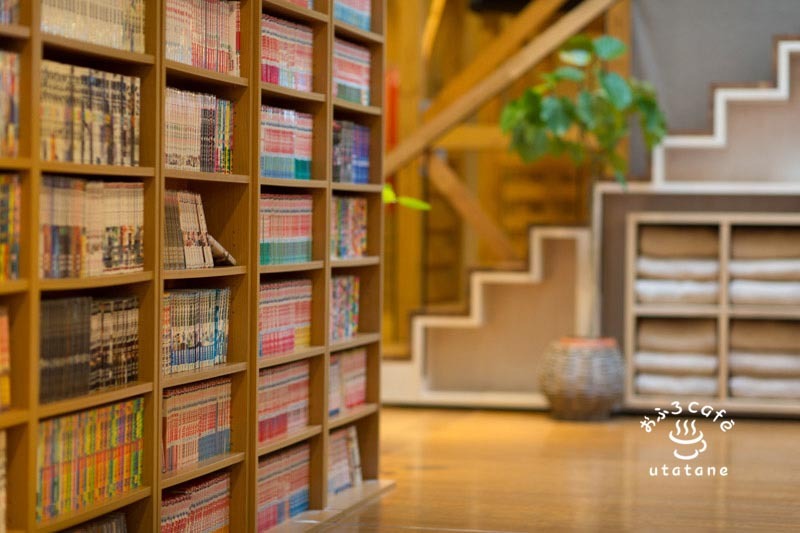 You can refer to the Kimono Rental Shop Sarah きものや沙羅 pricelist here (in Japanese – you can click the translate button at the bottom right or email them for more details). 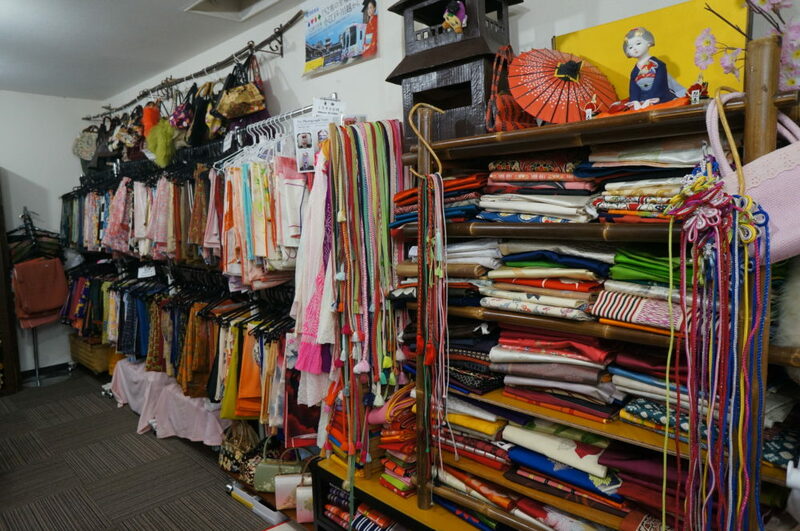 There is a good selection of kimono – in terms of color and fabric. 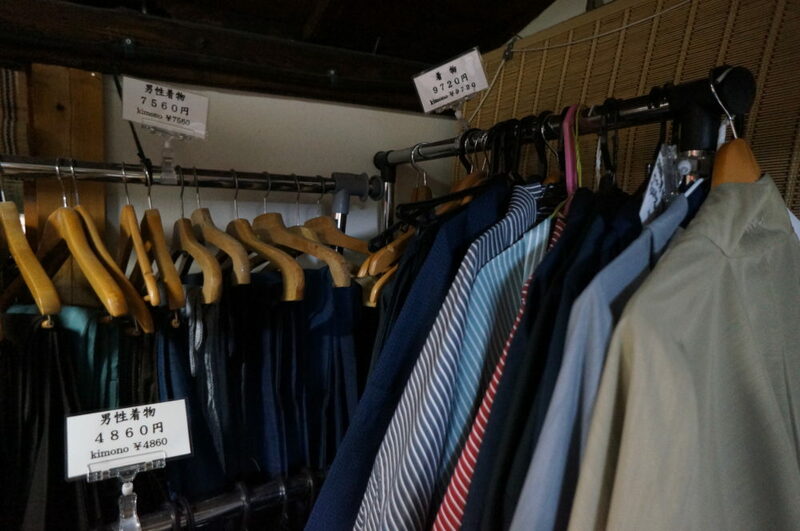 There are separate kimono dressing rooms for males and females. Male kimonos – colors are duller compared to the female ones. Don’t worry if you are of the bigger build – they have XXXL ones too. For kimono setting, do set aside 1-2 hours as there are many layers of clothing to wear and there are lots of adjustments to be made as these kimono are not made to measure. Don’t worry about walking about in a kimono during winter, these kimonos come with multiple layers to keep you warm. For males, there is even a kimono jacket. To continue with the theme of travelling around Edo-style Kawagoe, we hired a rickshaw service to bring us around Kawagoe. Our rickshaw guide was Yuki Tomioka of Itsuki-ya Tourism Rickshaws. 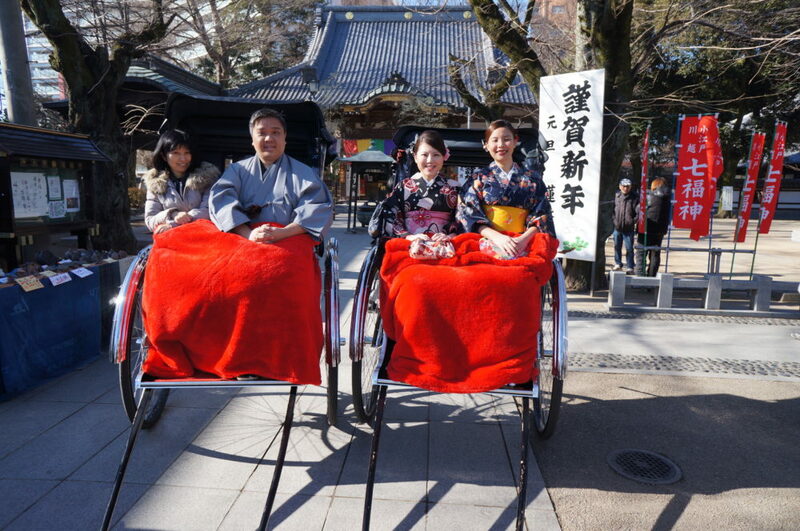 To make a reservation for your rickshaw sightseeing service around Kawagoe, you can call: 090-7341-0088. Our rickshaw tour also took us along the Kurazukuri Street – this is the main street for Kawagoe where you can find all the popular Kawagoe snacks and restaurants and souvenir shops. 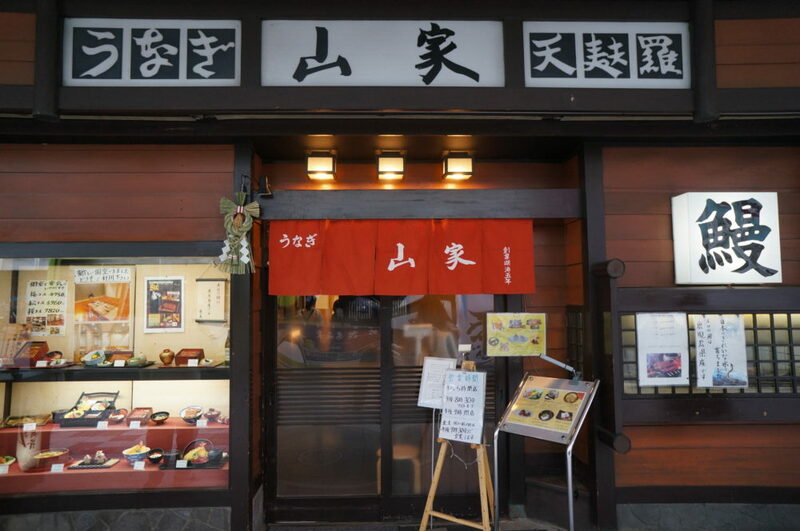 For lunch at Kawagoe, we visited Ryotei Yamaya (〒350-0054 11-2 Saiwai-cho, Kawagoe City, Saitama Prefecture) – a restaurant with over 150 years of heritage. We had a delicious kaiseki set with sashimi, tempura and various local Saitama produce and this set costs just 3000 Yen. 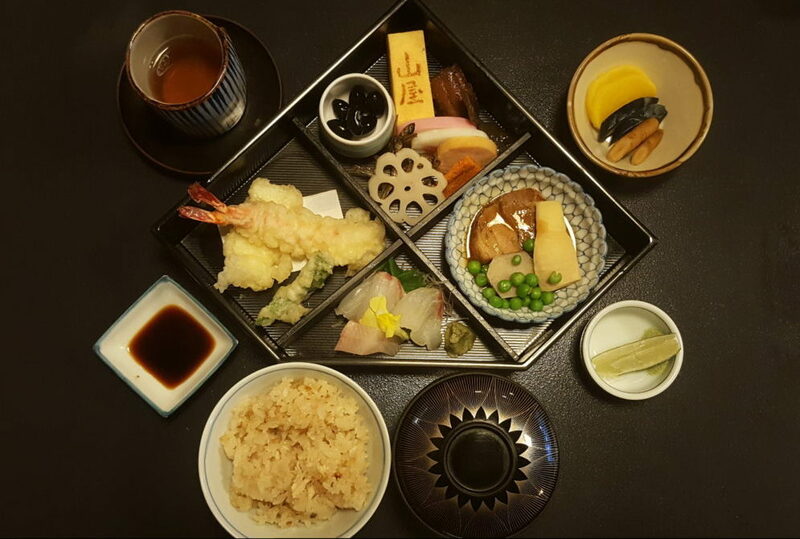 The dishes are specially made to match the seasons and what you see around you in the gardens while you dine at Ryotei Yamaya. 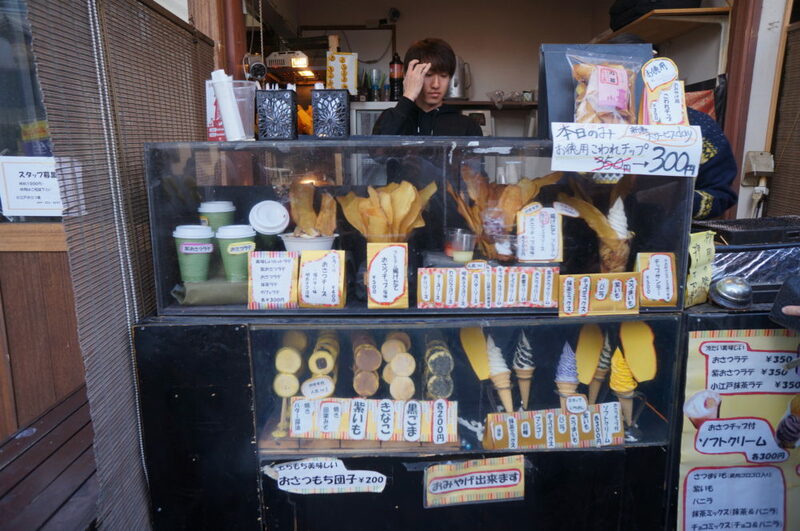 After lunch, we roamed around the Kurazukuri Street to check out the local Kawagoe snacks – the must try include the sweet potato and shoyu ice-cream. I have included a map below that shows the best places to check out for snacks. 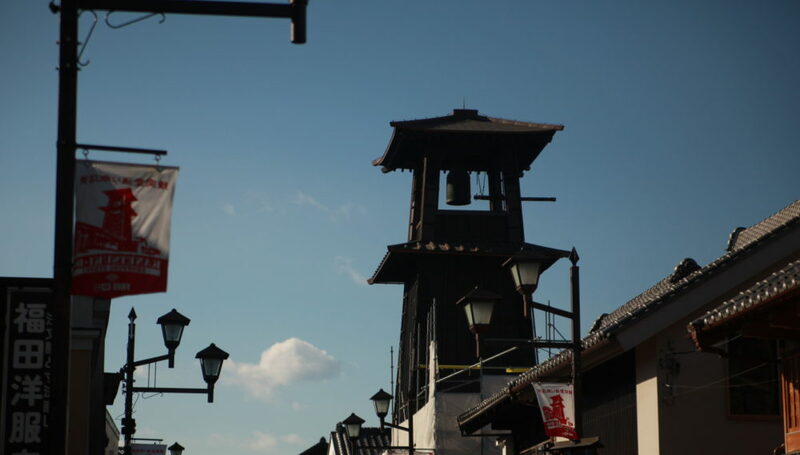 One of the highlight of this Kurazukuri Street is the wooden Toki no Kane or Time Bell Tower. This wooden clock is often featured in historical dramas and was first built some 400 years ago. It still chimes four times a day, at 6am, 12pm, 3pm, and 7pm. You can use this Bell Tower as a landmark to orientate yourself around the street. 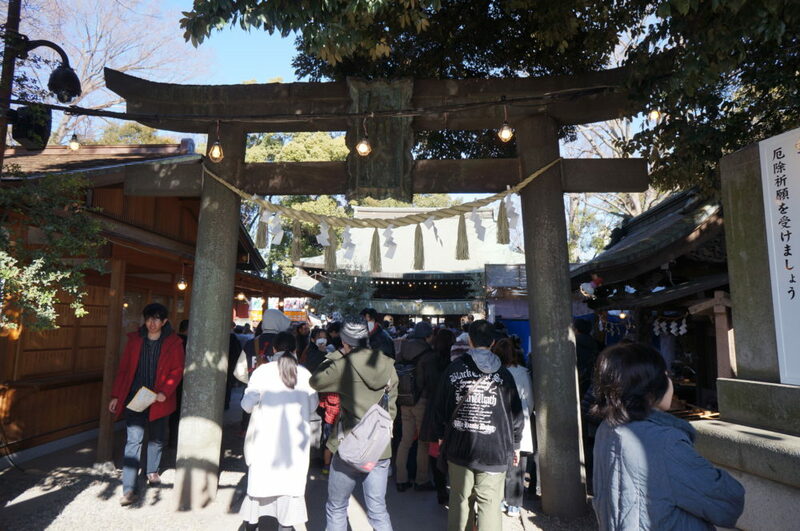 This street under the Bell Tower is also where you can find most of the popular Kawagoe snacks – be prepared for long queues for the sweet potato chips. One interesting experience you can check out when you are in Kawagoe is the Footbath Cafe Tubakiya or foot spa cafe Tsubaki No Kura. Here you can order a cup of green tea or any beverage of your choice and immerse your feet in a footbath to relax after a long day of walking around Kawagoe (although we cheated a bit by taking the rickshaw sightseeing tour :-)). 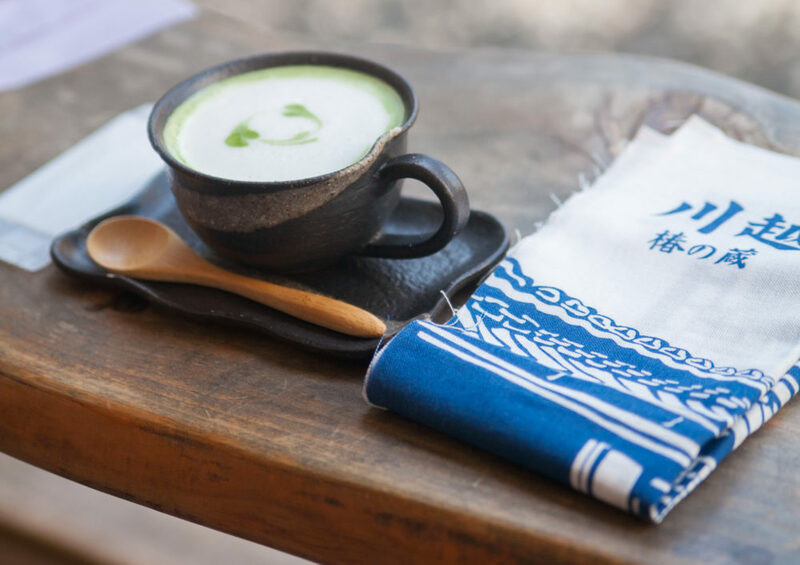 The footbath is free if you order a drink – this cup of green tea cost 600 Yen + tax. Towels to wipe off your feet after your footbath costs extra too – at 300 Yen + tax.